Fiber Antics by Veronica: Are you a stripper? 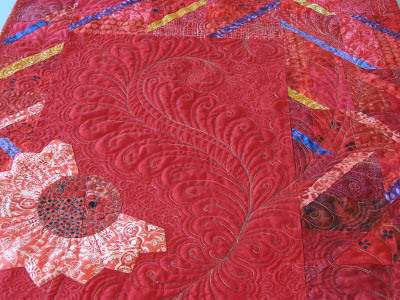 As a Blank Quilting fabric rep, one of the items in my "bag" are samples of Blank's Fabrications. Lately, I've been enamored with the pre-cut collections of 2.5" fabric strips. Made with Blank Fabrications Red Hots. Open package of Fabrications. Pull out colors of your choice. Sew. 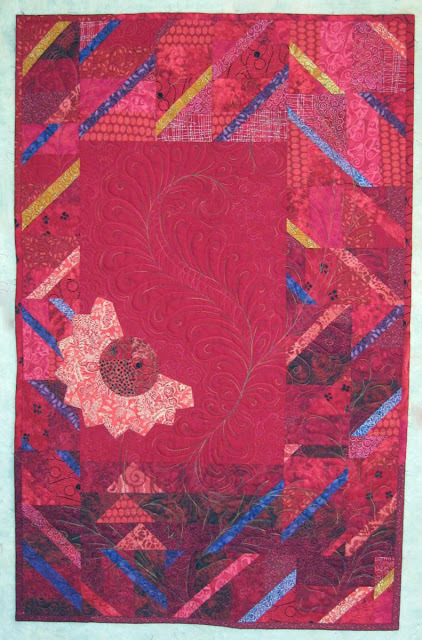 Here is my latest project, Crimson Inspired, just in time for Valentine's Day. Detail of the free-motion quilting with Tutti by Wonderfil and King Tut by Superior. Last month at the Choo Choo Quilters guild meeting my team presented a program on using strips. 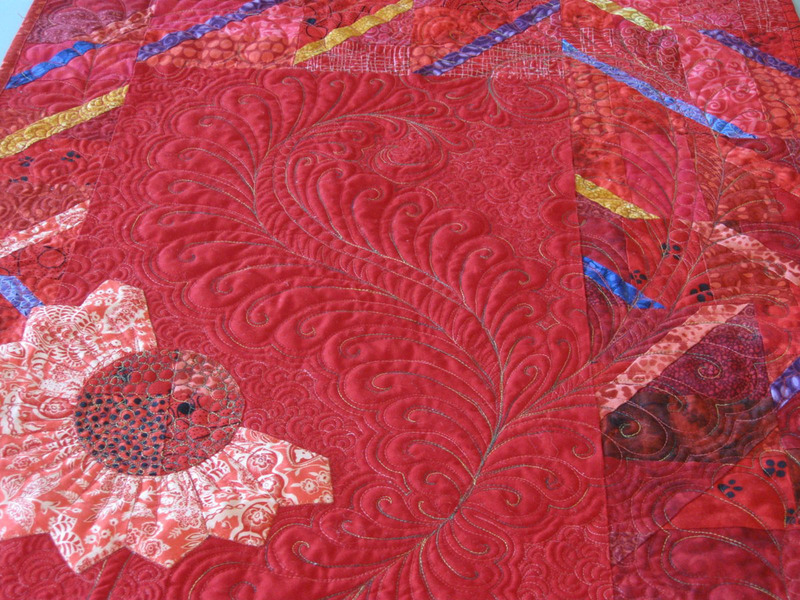 Everyone is making a "lasagna quilt" top for Show and Tell at the February meeting. The strippy quilts will support our community service Cuddle Quilt project. 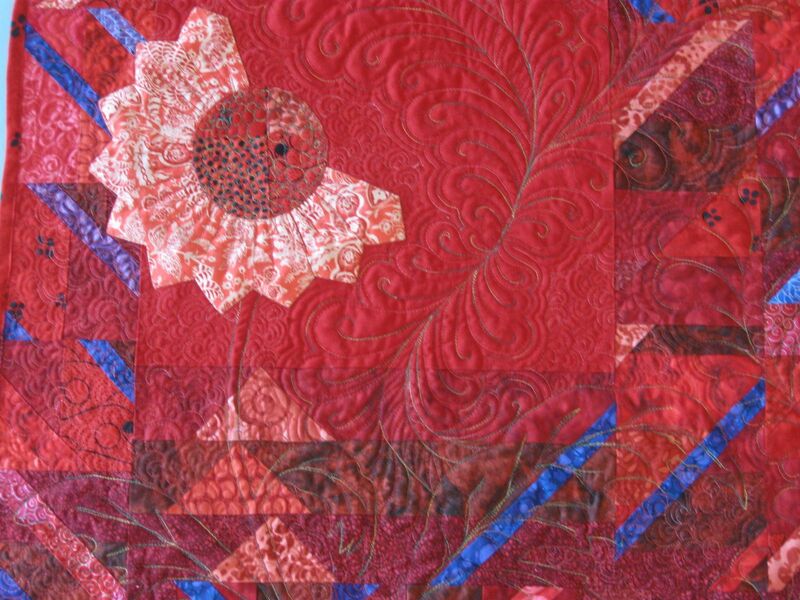 On Saturday, February 23, I'll be teaching my Angle Accents class using 2.5" strips and an improvisational rotary cutting technique. Contact Chattanooga Sewing to register. Let's get stripping! Beautiful use of your red Fabrications, Veronica! Your gift for design is amazing. I predict that we will see this in a national publication one day soon---or, perhaps, offered as a commercial pattern? Stunning! Oh, Ginny, you are too kind. Thank you for always being so supportive and encouraging.